Gives an overview of Business Plans - their importance and uses - and how to write them. Discusses 20 key factors in determining whether a worker should be classified as an Employee or an Independent Contractor. This article briefly discusses aspects of the Home Office Deduction for those who have an office in their home. Describes some ways Self-Employed individuals, LLC members, and shareholders in S-Corps can get tax breaks on the cost of Health Insurance. Discusses tax aspects of Mortgage Debt Forgiveness and how to minimize or eliminate taxes on cancelled debts. Describes the tax aspects related to bartering or trading for goods and services. Yes, bartering is taxable! Ten quick tips to help the business owner jump-start their business in today's slow economy. This page discusses the tax aspects of Social Security Benefits. 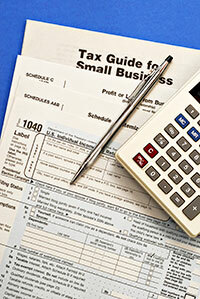 Ten tips from the IRS on choosing a tax preparer.